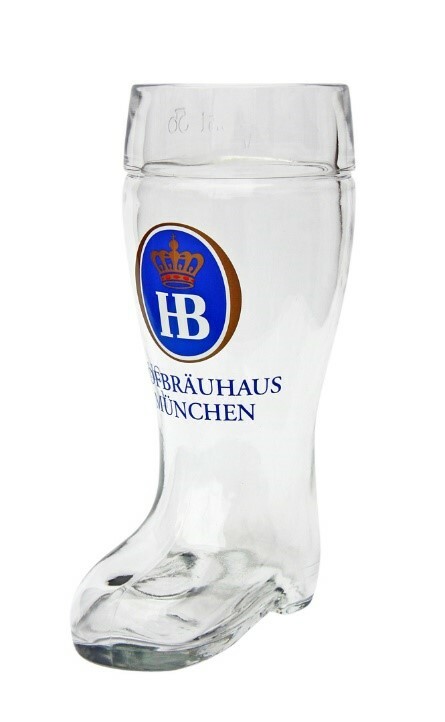 Our 0.5 liter glass beer boots come in a variety of designs including German crests, US military, German breweries and more! Personalize our glass beer boots with custom engraving for only $8.95! Why do we here at Germansteins.com have an entire page of our site dedicated solely to beer boots of all shapes, logos, and sizes? Well, because we realize that they are awesome, of course! We here at Germansteins.com understand that there is no better, and more nostalgic feeling than consuming an oversized frosty serving of your favorite, frosty, golden to golden-brown, adult beverage out of a two liter boot beer mug. Or maybe a 1 liter boot beer mug. Possibly even a .5 liter boot beer mug? Pretty much any possible beer drinking device that can safely hold your favorite German lager, and is shaped in the form of a boot. To make your experience even better, we can personalize your beer boot using custom laser engraving. We can add your initials, fraternity letters, or other designs to your new glass beer boot or any other drinking device available at German Steins. This provides you with a customizable option that makes your specific drinking boot the perfect gift for the Holidays, birthdays, or most any celebratory situation. Both beer enthusiasts, stein collectors, and glassware aficionados alike are able to enjoy our products, and we currently have something in stock for every member of the family. 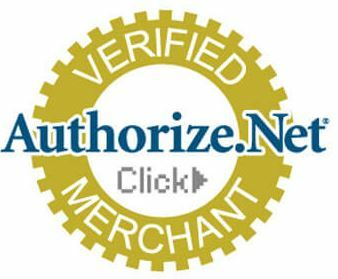 Check out some of our Christmas decorations, intricate German Cuckoo Clocks, and the rest of our inventory for our other top-selling German accessories! Even though each boot encompasses the same design, we currently offer our German-made beer boots in a variety of sizes and different logos. Our boots come decorated with designs that encompass everything from the plain, yet well-known traditional Hofbrauhaus logo; to our extremely popular seasonal Oktoberfest mug. These boots are not cheap novelty items typically found on dollar-store shelves that are made simply for a quick joke. Rather, some models are even constructed from hand-blown glass by Germany’s most experienced high-end glassworkers! They are guaranteed to make you the life of any party, and their high-level of durability ensures that each mug, with proper care and handling of course, will be able to withstand the test of time. 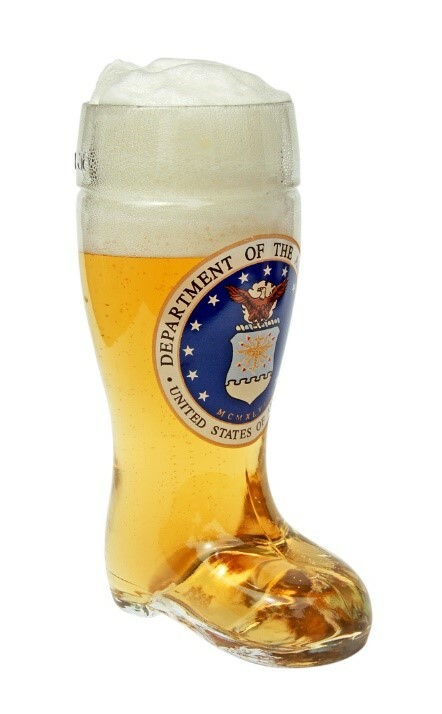 While 21 is the current legal drinking age, no beer drinker is too old to take a step out of their comfort zone, live a little, and drink out of a giant glass boot. There is an almost festive feel and fun atmosphere surrounding these mugs, making them able to bring a smile to any partygoer’s face. Feel like placing your beer boot on display? Go right ahead, as these mugs make perfect collectors’ items for avid stein enthusiasts and beginners alike. All of our boot mugs have the option to be custom engraved, and let’s face it: every guy has wanted to try the cult classic movie “Beerfest’s” das boot challenge. Remember, the key is in the bubble, so make sure and rotate that glass or face the consequences! While we don’t endorse or condone overindulgence, we only recommend that you have a designated driver close by. For more information on our glass boot mugs, available in a variety of different designs and sizes, contact beer boot dealers at Germansteins.com today!